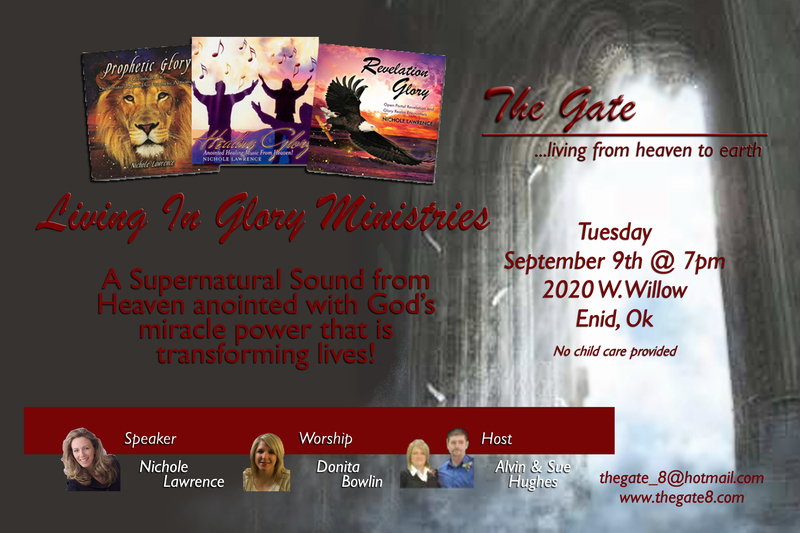 Tuesday September 9th, 2014 @7pm, we will be hosting Living In Glory Ministries. You don’t want to miss this time in the atmosphere of the Glory of God. 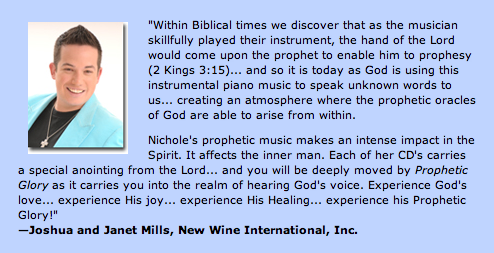 Nichole is an ordained minister with a psalmist anointing and a sound from Heaven that God supernaturally created. This sound is anointed with power for breakthrough, deliverance, emotional and physical healing, prophetic revelations, open portal encounters and more. Twenty-five prophetic words have been spoken over her for a period of seven years that people would be healed and set free while she plays the keyboard. In 2006, God said it was time and she stepped out in faith without knowing how to play and He Supernaturally created the sound and made it change while she was playing. Part of the sound He created included the harp, David played the harp for Saul and he was healed and set free. 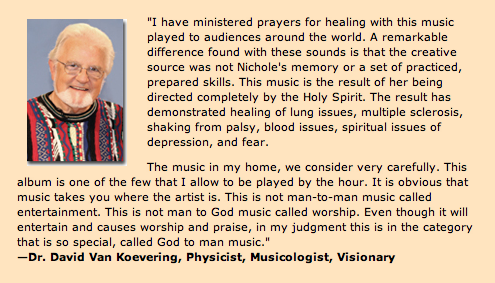 As she plays the keyboard, people are healed, set free and brought into new realms of glory. 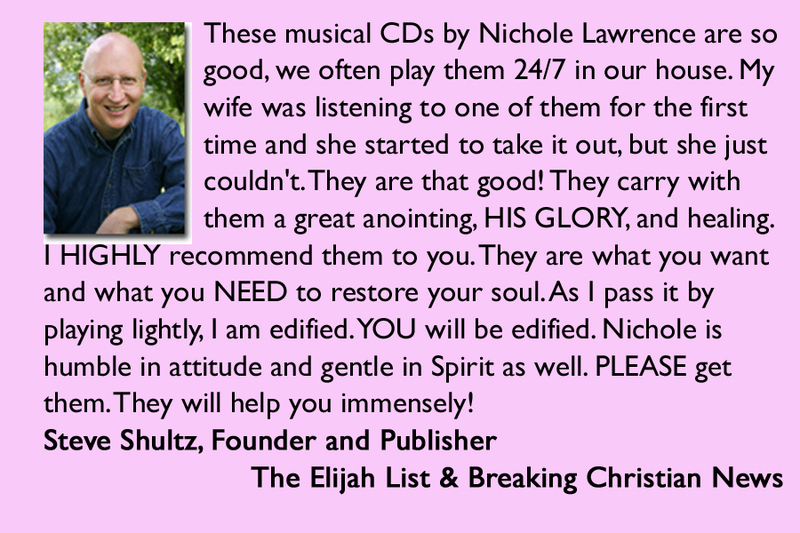 The powerful anointing is also on her Glory CDs that are played in nations around the world. 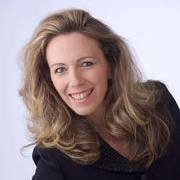 Nichole Lawrence and her husband Dan are founders of Living in Glory Ministries based in Wichita, KS. They travel together ministering and seeing lives transformed with healing, revelation, prophetic and salvation through the Glory Music. Come and receive your miracle!